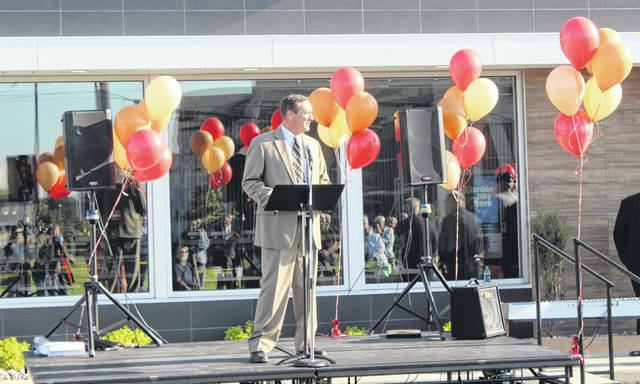 Dan Roberts, emcee of the grand opening event, spoke in front of a boisterous crowd Thursday morning. Ed Helt led the Pledge of Allegiance prior to the opening event on Thursday. 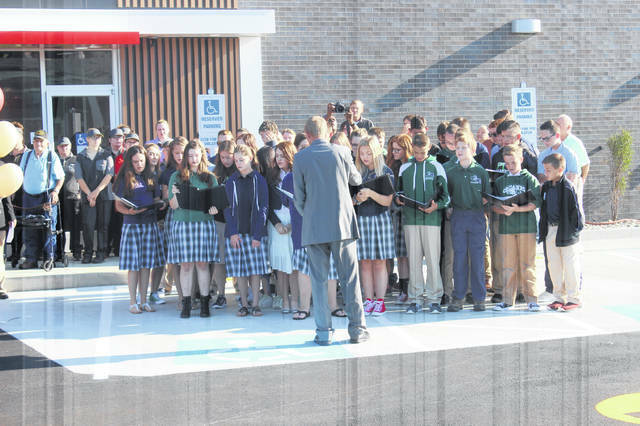 The Fayette Christian School Choir performed during the McDonald’s opening ceremony. The Washington High School Marching Band performed during the opening ceremony. A large group of dignitaries gathered Thursday morning to cut a ribbon signifying the opening of the new McDonald’s restaurant on Elm Street. Nick Epifano, owner and operator of McDonald’s of Fayette County, spoke Thursday during the opening of the new restaurant on Elm Street in Washington C.H. Behind Epifano are Dan Roberts, who emceed the event, and Ed Helt, who led the pledge. The grand opening of the new Elm Street McDonald’s on Thursday morning was a spirited, well-attended event that celebrated not only the beginning of a new restaurant, but also the people of the Washington C.H. community. 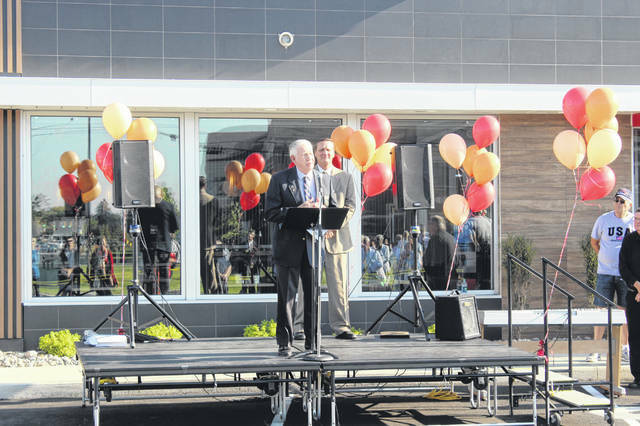 Dan Roberts, retired superintendent of Miami Trace Local Schools and current member of the Fayette County Board of Elections, emceed the ceremony that took place right outside of the new McDonald’s, which opened to the public Thursday. The new structure is replacing the McDonald’s building that was a fixture on Elm Street since 1974. The tear-down of the old building occurred May 17. The Washington High School marching band and Fayette Christian School choir performed at the event. Ed Helt from the American Legion led the Pledge of Allegiance, and the Post 25 American Legion Honor Guard presented the colors. Tony Garren, the pastor from Fayette Christian School, led the large crowd in prayer. Roberts also introduced the many public officials and special guests who were in attendance. Roberts also detailed some of the latest equipment and technology this new McDonald’s possesses. Epifano thanked a number of people in is life, professionally and personally. Epifano also thanked his children, Nicholas and Luisa. Keith Tooill, a key contributor to the success of the local McDonald’s restaurants, was also singled out for his tireless efforts. Epifano also took time to thank all of the employees and managers, as well as the great customer base in this community. He also thanked Roberts, who he called a “special man,” for his friendship. A large group of dignitaries participated in the cutting of a ribbon that consisted of McDonald’s french fry boxes. https://www.recordherald.com/wp-content/uploads/sites/27/2018/08/web1_IMG_6674.jpgDan Roberts, emcee of the grand opening event, spoke in front of a boisterous crowd Thursday morning. https://www.recordherald.com/wp-content/uploads/sites/27/2018/08/web1_IMG_6688.jpgEd Helt led the Pledge of Allegiance prior to the opening event on Thursday. 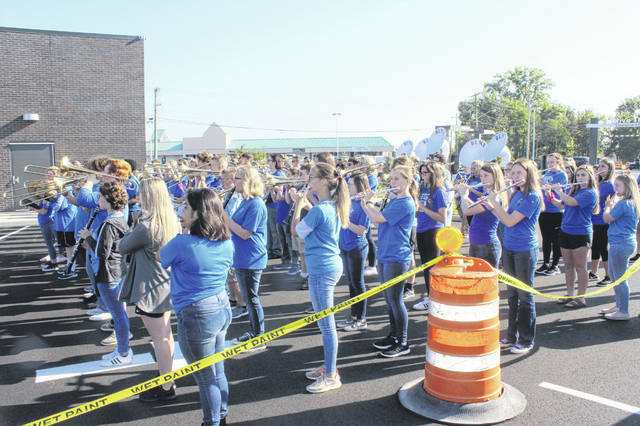 https://www.recordherald.com/wp-content/uploads/sites/27/2018/08/web1_IMG_6692.jpgThe Fayette Christian School Choir performed during the McDonald’s opening ceremony. https://www.recordherald.com/wp-content/uploads/sites/27/2018/08/web1_IMG_6718.jpgThe Washington High School Marching Band performed during the opening ceremony. 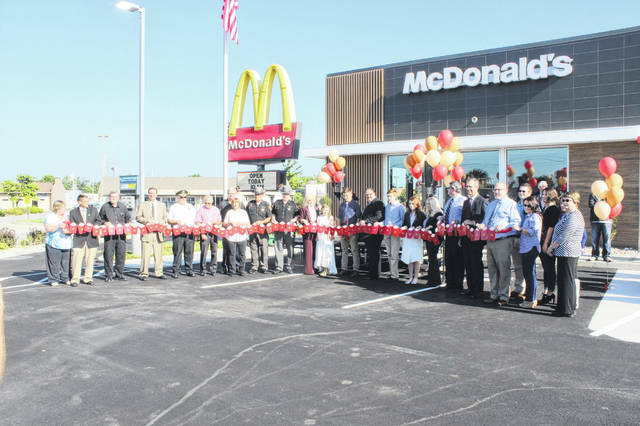 https://www.recordherald.com/wp-content/uploads/sites/27/2018/08/web1_IMG_6713.jpgA large group of dignitaries gathered Thursday morning to cut a ribbon signifying the opening of the new McDonald’s restaurant on Elm Street. 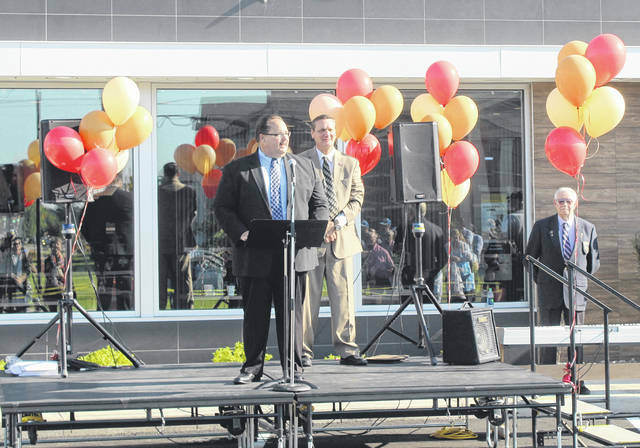 https://www.recordherald.com/wp-content/uploads/sites/27/2018/08/web1_Nick-Epifano-at-Grand-Opening-8-23-2018.jpgNick Epifano, owner and operator of McDonald’s of Fayette County, spoke Thursday during the opening of the new restaurant on Elm Street in Washington C.H. Behind Epifano are Dan Roberts, who emceed the event, and Ed Helt, who led the pledge.